Hostel Alice, Sao Paulo, Brazylia : Rezerwuj teraz! Less than 1 month prior the arrival will be charged 50% of total reservation. We will only accept group reservation if full credit card details are provided and payment is made 4 weeks before arrival. 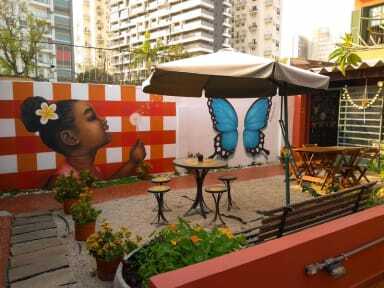 Hostel Alice is an hidden oasis in São Paulo. It’s as if you were “at your grandma’s house” (psst...we have N64 Mario Kart). Two cozy houses with a nice backyard and a familiar and quiet vibe. You can meet here a real family - The Alice Family. We love traveling and people - but the most important thing is we're gonna love meeting you! Our hostel is strategically located (subway station Vila Madalena is 4 min. by walk) in one of the best, most incredible and safe neighborhoods of São Paulo: Vila Madalena. You're gonna find culture every corner you turn: bars, clubs, restaurants and galleries. 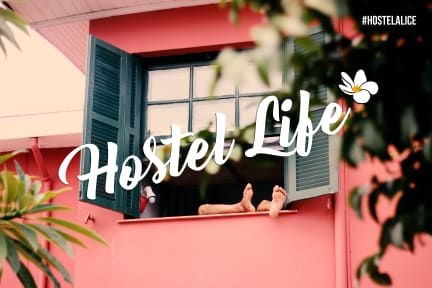 Even though Hostel Alice has a quiet vibe, we love beers, caipirinha and going out in one of the various bars all within walking distance (ask us and we show you around). It is the ideal place for those seeking for a quiet place to stay and, at the same time, want to have easy access to the rich night life of the city of São Paulo.